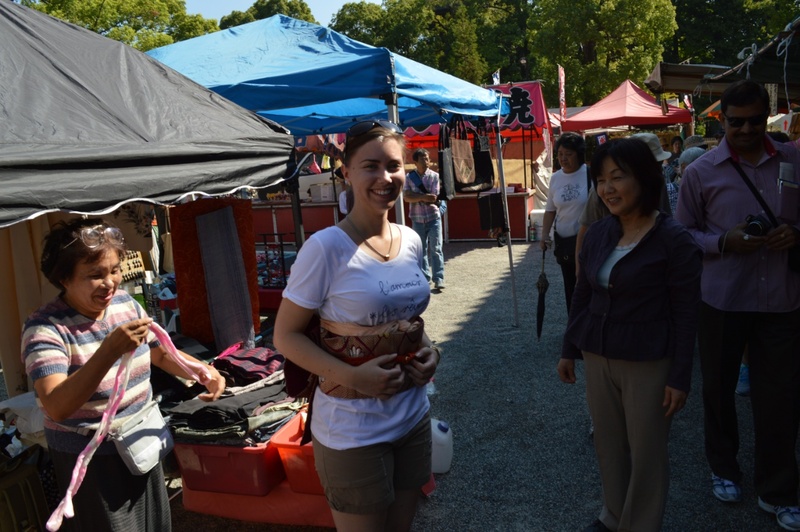 When we checked in at Ninya House, our landlord Mariko-san highly recommended a visit to the Kobo market held at the Toji Temple once a month on the 21st. She also recommended to be there quite early if we wanted to get our hands on the good stuff. We took her advice and made sure to be there at around 8:15 in the morning. At first we thought that what you see in the picture was the entire market. That was nowhere near the truth. In reality, this was more like 5% of the market. 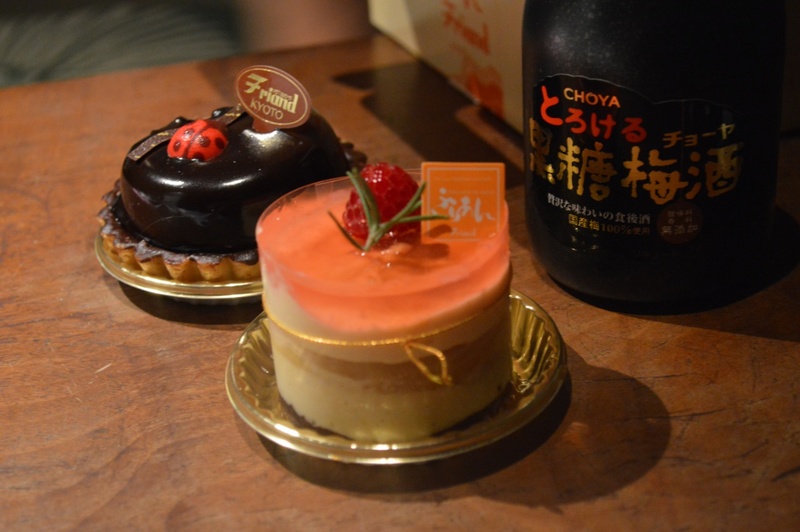 There where lots of different food, for example takoyaki, okonomiyaki, noodles etc. You could also buy antiques, pottery, beautiful bonsai trees and wonderful vintage kimonos. I, of course, had to buy myself a kimono! 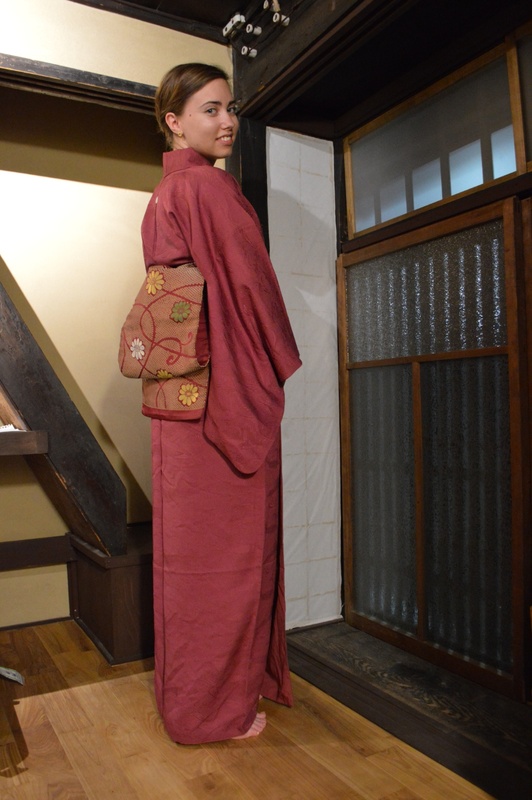 There were sooo many beautiful garments to choose from but I found a lovely red/purple-ish one for ¥2000, a haori (kimono jacket) for ¥2000, an obi (sash) for ¥1000, an obijime (string to tie around the obi) for ¥2000 and an obiage (a scarf used to tie up the obi) for ¥1000. The quality of everything I bought was very good. I never saw anything for that price with that quality in any of the “proper” stores. 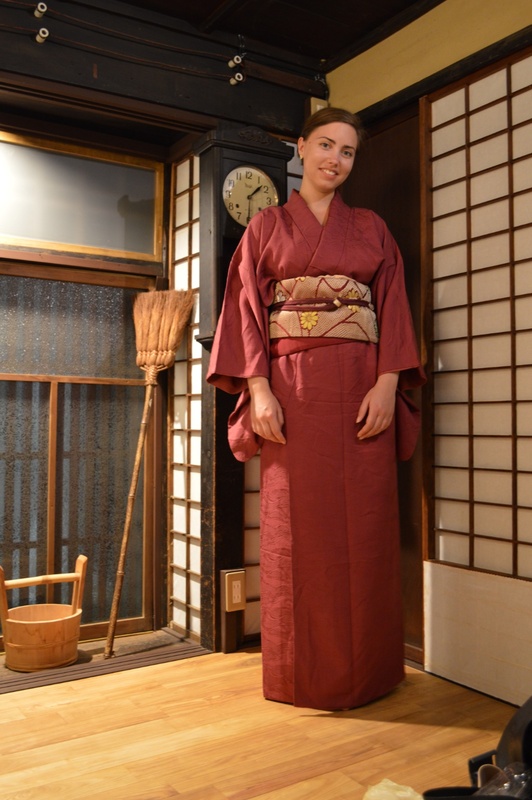 To give you a little perspective, I can tell you about the nagajuban (undergarment for kimono) I bought a day later. It cost me ¥15.000. Sure, the quality was good but still the price felt a bit bonkers in comparisson. Since I’m a complete newb when it comes to dressing up in kimono, two lovely ladies at the market tied me up in the obi :) They even gave me two koshihimo (silk ropes to tie the kimono) as a gift! 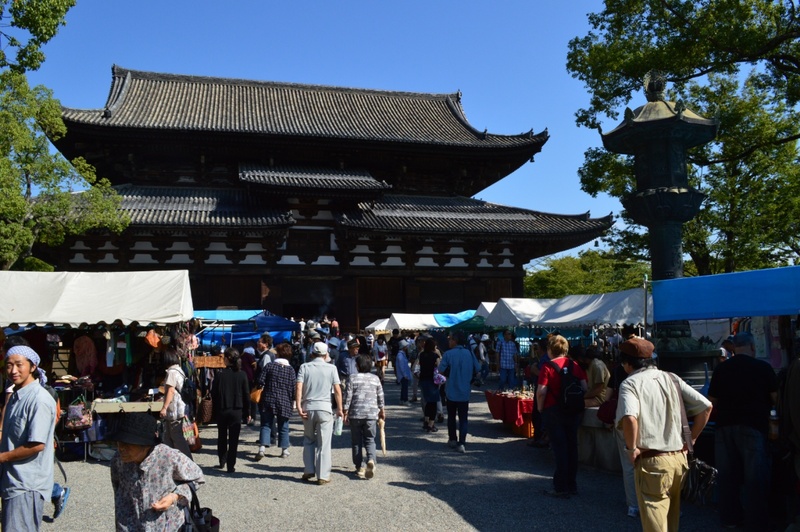 Categories: Japan, Travels | Tags: Japan, kimono, Kobo market, Kyoto, Toji Temple | Permalink.